Taggarts Land Rover Motherwell are investing in an exciting new space for the future, with a new showroom featuring state-of-the-art facilities to give you an enhanced experience and the perfect space to discover our range. Everything is being designed with you in mind. While we carry out the improvements at our current location, 477 Windmillhill Street, Motherwell, we’d like to apologise for any inconvenience caused, but please be rest assured that everything you might need is still available at our temporary location, directly opposite our redevelopment, at the former Lookers Hyundai dealership at 528-540 Windmillhill Street, Motherwell, ML1 2AQ. We’re hoping to have the redevelopment completed by the end of 2018, and we’re confident you’ll be extremely pleased with the new space. 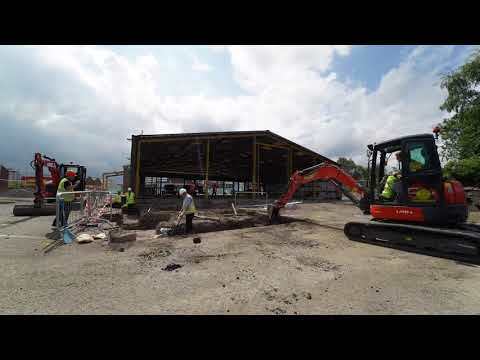 Watch our time lapse videos below to see our current progress. 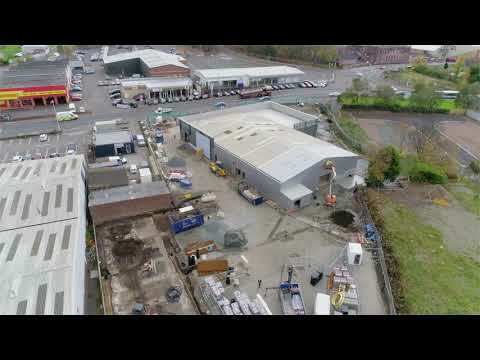 Our redevelopment at Taggarts Land Rover Motherwell is really taking shape. 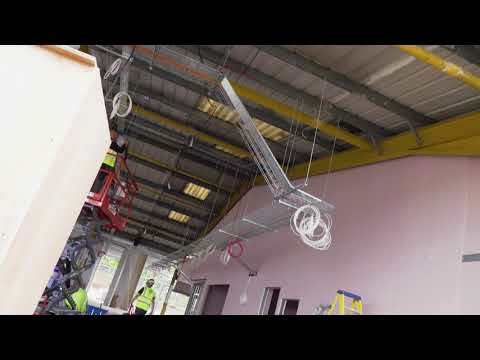 The interior structures are progressing and we’re getting even closer to bringing you a brand new, spacious environment in which to view the award-winning Land Rover range, and we're still on track to have the redevelopment complete by the end of 2018. The new customer lounge will provide the perfect space for you to relax, work or discuss your options with the team. We’ll share more update photos with you soon. Our new Land Rover ARCH concept redevelopment at Taggarts Land Rover Motherwell is making huge progress. Our workshop is really taking shape, and the interior of the showroom is being prepared for its fittings and flooring. Outside our mono-block paving is being installed and the exterior is being prepared for landscaping. We’re so excited to see our redevelopment progress and can’t wait to share it with you.